We are a public relations firm that specializes in helping our clients receive new press worthy attention, manage current public relations campaigns, and assist clients in launching new initiatives. Our goal is to manage our client’s public persona and to allow them to grow their business effectively and focus on using their talents. As a service we focus on understanding our client’s target audience and structuring campaigns and resources to not only reach the target audience, but also develop ways to increase the audience to other demographics. Marketing and advertising is required for all projects, services, products, and events. As companies, organizations, and solopreneurs launch their projects, services, and products most do not have a grasp of the level of marketing and advertising required. Sand and Shores specializes in developing unique campaigns to increase exposure for your project, service, product, or event. Through industry research and creative techniques, Sand and Shores garners amazing results for our clients. Companies, organizations, entrepreneurs, and solopreneurs understand the impact of social media in today’s world. Social media is no longer optional. It is mandatory. However, there is complexity in managing social media, acquiring followers or contacts, and making sure engagement stays high which drives interest and activity. It is time consuming and extremely detailed. 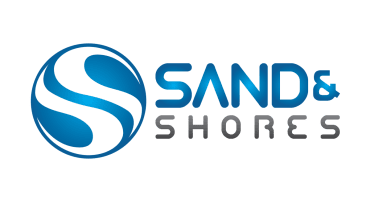 Sand and Shores manages its clients social media persona and profile to be in line with the personality of the client and to keep engagement high with our clients audience. We serve as a bureau for our clients, including authors, personalities, subject matter experts, entrepreneurs, and seasoned executives. We provide media training, book speaking engagements at conferences across the country, encourage the press to use our experts as sources for their stories, and secure interviews on radio and television.